Miss Jean March 20, 2015 March 20, 2015 Comments Off on PlayAways now available at your library! If you’re starting a new exercise program or faithfully continuing your old one, perhaps you would enjoy listening to a great book as you jog, walk, run, or maybe just cleaning house or working in the yard. 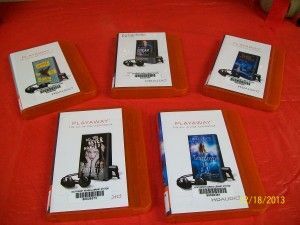 Ness City Public Library has Play-a-Ways to check out. Come by and ask about them. All you need is a pair of ear-buds and you’re off! Just another way to enjoy a good book and doing whatever you enjoy doing at the same time.